I hope you all had a wonderful week! I know you're looking forward to this weekend as much as I am! Do you ever sit down at night and put together a to-do list of things you want to accomplish the next morning? You are so pumped up about all of the things that are going to get done as you lay your head down. But when you wake up, the last thing you want to do is look at that to-do list or do anything other than turn on Netflix and drink coffee? This was my morning today. I woke up with no ambition to do anything. I made the coffee, helped my husband find the pieces to his uniform, and had breakfast with him before he left for work. After he left, I glanced at the to-do list. I kept saying in 20, 30, 40 minutes I'll get up and start this list. Next thing I know, two hours went past. It was now 11:00 am, and nothing got accomplished. I decided to check out my IG, and am so thankful that I did. I came across a post from @Sarahboparah who is doing a #sarahboparahproductiveweek. I decided to whip out my notepad and make a list with more achievable goals, and then split them into tasks. This worked wonders. I also followed her "power hour" method. I turned my phone on silent, let the dog outside (we have a fenced in yard) and turned on the TV. I conquered that list in an hour. I focused on nothing but cleaning and making sure everything on that list was done. I was at peace knowing that I was only going to do what I could in an hour, and if it didn't get done, then it didn't get done. I was able to finish everything. I realize that by sitting down making a list of things that I'd like to do, I pretty much set myself up for failure. Although I had good intentions, I knew today wasn't a day where I had endless energy. I had to set some boundaries for myself so I wasn't sitting and looking at a un-checked off list. This power-hour method works wonders. I challenge you to try it. If you have a long list of things to do, and your just not feeling it, give yourself an hour. Just 60 minutes out of your day to dedicate to that list. 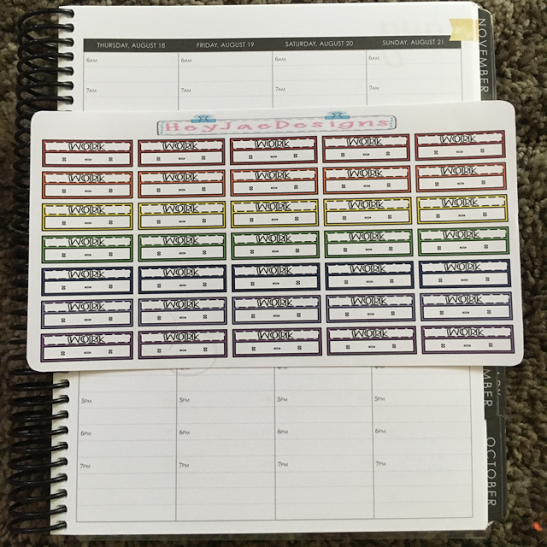 Also take a new notepad, a few tasks, and break them into mini-sections. I'm so thankful for IG and the community that my planner brought me. The ideas, creativity, and inspiration is everywhere in the community and its amazing. Thank you so much Sarah from @Sarahboparah on IG. I suggest y'all go follow her for some more inspiration! I hope you have a great relaxing, yet productive weekend! Today I feel so blessed. Before I start my post on Chelsea's shop, I just wanted to take a second to talk about the planning community. For as long as I can remember, I've always been a "planner". 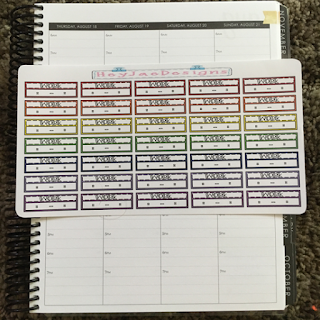 I may not have always used washi tape or stickers, but calender's and pens were my thing. I remember as a young girl, my favorite thing about going back to school was going into homeroom and having my new planner on my desk. Yes, it wasn't an Erin Condren, but you can bet your bottoms I went home and put my personal touch on it. What I didn't have then, was an amazing community of women who are always there to support each other. 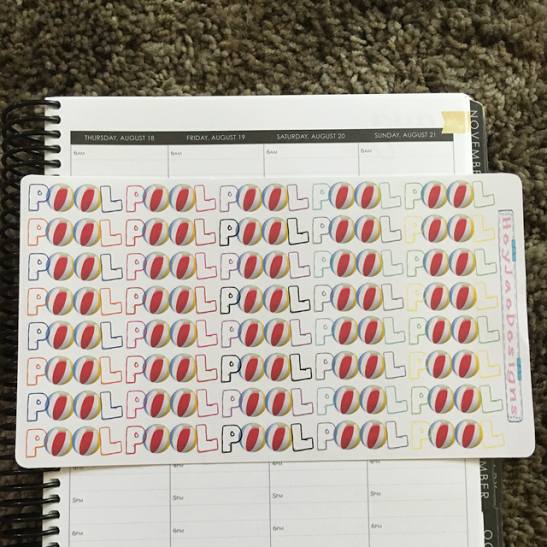 This planning community is made up of wonderful people who were brought together by there sheer love of paper, pens, and stickers. I have seen this community raise money for a woman who lost her home in a fire, be there to hold the hand of a woman just diagnosed with cancer, and simply help each other through events in our lives that we just need a little extra prayer. This community is more than just women with a paper obsession, it's a group of inspiring, creative, and beautiful people. I am so thankful to have stumbled upon this community and I know this is just the very beginning. I look forward to seeing the impact this community has in the world around us, and in the lives of the people in it. But with that being said, lets talk about Chelsea's shop. Chelsea is the owner of Finch & Sparrow Prints, She is also a stay at home mom who is working towards her degree. Chelsea had posted that she was looking for a PR team a few weeks ago, and I applied for it. I feel so blessed that she accepted me as part of her team. I am not a person that would advertise something I didn't believe was worth the money, or poor quality so when I tell you that this are AMAZING stickers, I truly mean that. She sent me quite an assortment of stickers. The colors she offers are so beautiful, and the quality is amazing. The kiss-cut is perfect, and each sticker peels right off without hesitation. I love shops that offer a variety and you get that at Finch&SparrowPrint. I truly believe that these stickers are amazing quality and worth every penny. Chelsea has amazing prices, so you are definitely getting more for your money. Chelsea was so kind to give me a discount code for my followers!!! And save 30% by entering: holmes30 !! I hope you all love her stuff as much as I do! Today we have another spotlight series of a wonderful shop! 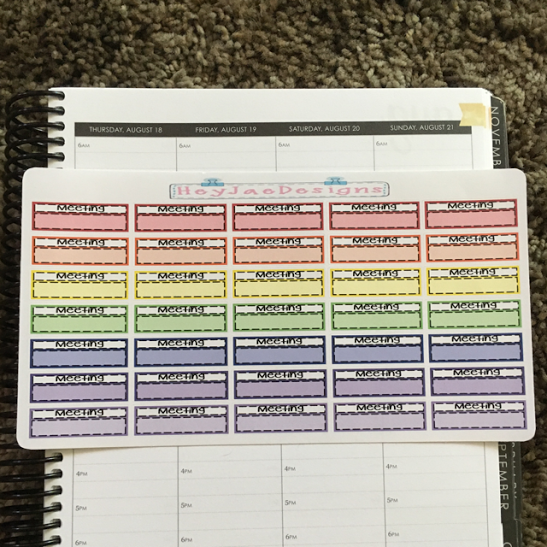 She offers a variety of stickers that are available for all different planner types. She offers beautiful kits, icons, kawaii icons, and a ton of functional stickers. I am always a fan of a shop that has a one-stop-shop nature. You can get just about anything you need right at her shop, and you would be happy! The quality, the color, and the customer service is amazing. 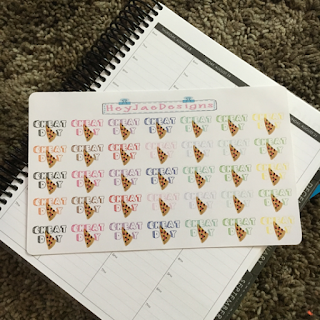 She was so kind to send me some of her adorable stickers! One thing I love about her shop, is the colors that she offers. 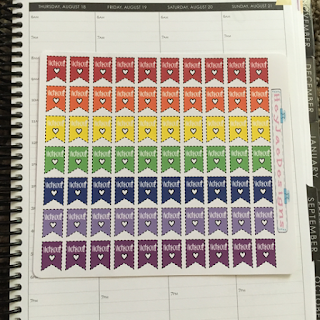 Each sheet has a variety of bright rainbow theme colors that will match any spread! After reviewing her stickers, I am totally obsessed. I personally love the flag workout stickers with the heart. I am going to use them as a checkoff! I am hoping that will help motivate me to get my workout in! Thank you so much to Hey_Jae_Designs for sending me these gorgeous stickers, and I hope you all run over to her shop and get yourself some! 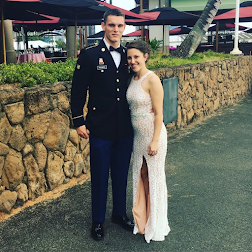 This is just going to be a quick post as I wanted to talk about a local shop here in Hawaii. Melanie owns Planner Posh. I had the pleasure to meet her at an Oahu Planner Meetup when I first arrived on the island. A few weeks ago she posted that she had an opening for custom orders. I knew that I was running low on functional stickers, and needed to stock up so I took advantage of her post. Little did I know, I'd find a new go-to sticker shop. I requested a few things: I wanted labels, banners, and flags. Boy did she come through. Not only did she make them in beautiful colors, perfect kiss cut, and in matte, BUT they are ONLY $1.25 a sheet!!! She also offers repositionable matte and glossy at a little bit higher price. BTW- did I forget to mention that I ordered them on a Tuesday, and received them on WEDNESDAY! Quickest shipping on custom orders ever. Here is a sneak peek of the goodies I got! 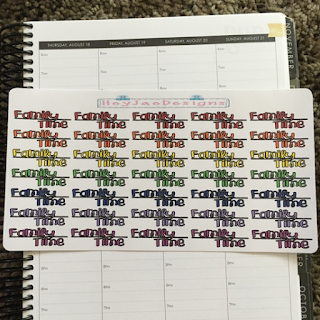 For me, functional stickers are always a go-to, and stickers that I have to do! I am already working with Melanie for a few other sheets, so stay tuned for more adorable stickers! Thank you for checking in today, and go check her out! I hope everyone is having a wonderful start to their week! I am starting this day with two of my favorite things: a cup of Kona coffee and my Erin Condren Planner. Along with my planner, I have the CUTEST stickers from PlannersLilTreasures! I came across her shop during one of my Etsy searches, and she was kind enough to include some extras in my purchase! I can definitely start off by saying that I really don't think this will be a one time only purchase. The quality of Yessi's stickers are perfect. I was never one for Kawaii stickers, but I'm totally obsessed with hers. She has so many different stickers to choose from! Here are a few that I have! This includes sponges, spray bottles, a broom, duster, a mop and buckets, and a vacuum. I love this kit and have already used a bunch of them! I like that I can use this for coffee, or the famous bubble tea. Oh. My. Gosh. I can't even deal with the cuteness of this kit. This kit includes both functional and decorative stickers. 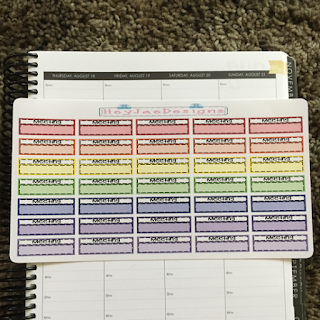 It is perfect for any planner, but fits perfectly in the Erin Condren! I mean - come on! I love this summery drink stickers! I cannot wait to put these to good use! The next 3 stickers are for shopping. I feel like I am constantly shopping in Hawaii, haha! My favorites are the little baskets with the food sticking out! How ADORABLE! I'll use these for when I get to sleep in, or maybe take a nap. Which are MY favorite! I love these! 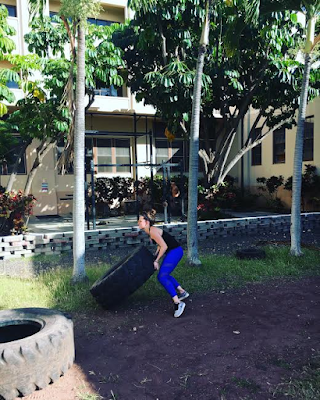 Since we do alot of hiking, walking, and working out here in Hawaii, these are perfect. I can already see me purchasing another order! Now you can see what I am talking about. Everything about these stickers are perfect! The kiss cut, the color, and the design are all on point! 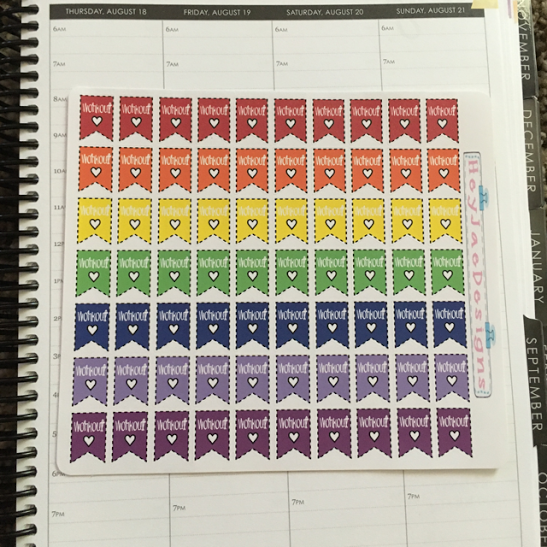 I really love how they look in my planner and add cuteness to mundane tasks. Thank you so much Yessi for the adorable stickers and for a perfect purchase. I look forward to another order already!